We Are Metro DC Babywearing! To our DC-MD-VA babywearing community, per our August 17 announcement, we are now operating as a community support and babywearing playdate group under a new name, Metro DC Babywearing. We are continuing to work on the best way to move forward and will keep you updated. You can now find us on Facebook at https://www.facebook.com/MetroDCBabywearing/ and at our FSoT/Chatter group at https://www.facebook.com/groups/MetroDCBabywearingChatter/. As you may have seen, Babywearing International announced today that they have filed for bankruptcy and will cease to exist as of August 31,2018. The BWI of DC-MD-VA board of directors are working quickly to figure out how to weather this transition. 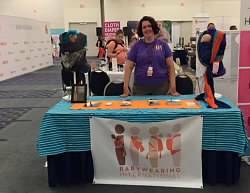 Our volunteers are investigating the feasibility of changing the DC-MD-VA chapter into an independent, non-profit organization that can continue to support babywearing in our community. Unfortunately, since our insurance coverage will terminate at the end of the month we cannot continue our regular services until we sort out new insurance and a new model. We are committed to continuing to serve this community and will update you as we know more. What this means for the immediate future. 1) the name of this group will change as BWI will cease to exist. 2) Library check outs will be suspended effective immediately and will resume once we have next steps figured out. We appreciate your help in returning carriers by their due date so that we can conduct a full inventory. 3) Memberships will transfer to the new organization once we are able to resume lending. We will extend them based on the remaining time on each membership as of August 31. 3) All meetings scheduled after August 31 will be renamed babywearing play dates and there will be no official babywearing instruction. We will be there as peer support. We will also collect returned carriers. We will not have a full library of carriers but volunteers may bring personal carriers for others to try! 4) if anyone would like to volunteer their non-profit experience (particularly attorneys in Maryland or Virginia! ), please message our public page. We will likely rename our Facebook page and group so that it can continue to be the awesome support and resource that it is for this community/ We have an amazing group of dedicated volunteers that will continue to answer your questions and provide education through this transitional period. All of us are committed to continuing to provide support for babywearers in our community! We have some exciting news for all of you who enjoy the benefits of our lending libraries. In the last few months we have had some amazing new carriers donated to our group as well as the opportunity to purchase some additional new carriers direct from retailers at discounted BWI rates. We have new carriers from brands like Lillebaby, Tula, Wildbird, West of 4th Wovens, Kinderpack and more! We are very excited to get these carriers into our lending libraries so that you can all begin trying them out as soon as possible. At our April meetings we invite you to come to our 101 demonstrations and try out any of our carriers, but we will not be offering check-outs. In order to get all of our new carriers into the libraries where they are most needed we will need to pull all of our carriers together and "shuffle" libraries. At this time we will also be assessing all of the carriers in our libraries for condition and safety and retiring any carriers that are just too well loved to continue as library carriers. This means that you will be seeing new and new-to-your-library carriers at your May meetings! Carrier check-outs will resume at all May meetings. As our way of saying THANK YOU for bearing with us as we work to better serve you all we are going to offer an incentive to those members who want to check out carriers at our May 2017 meetings! Each member will have the opportunity to either check out one carrier for two months OR check out two carriers for one month. This is a great opportunity to try out a carrier made for the pool/beach just as summer starts. Thank you again for your understanding! 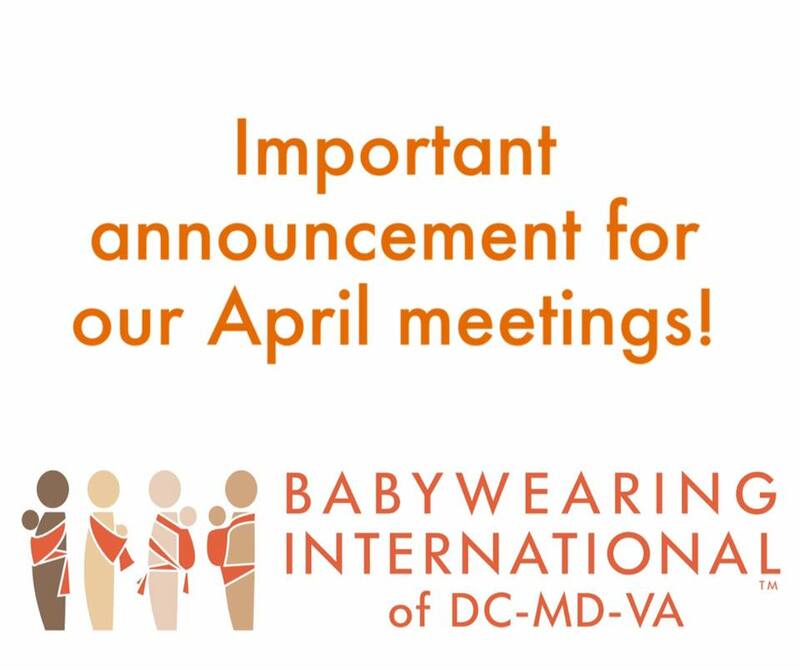 If you have any questions please feel free to email us at dcmdva@babywearinginternational.org. Happy 2017! Please help us serve you better. We would love to get a feel for how we can work and engage in our community (both online and in-person) most effectively. Please take a few minutes to complete our survey so that we can best meet your needs. 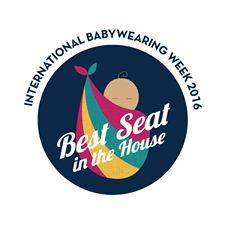 International Babywearing Week 2016: Best Seat in the House! International Babywearing Week 2016 Logo: Circular image of a baby in a sling with the text "Best Seat in the House"
It’s that time of the year again! International Babywearing Week (IBW) 2016 begins next month—taking place October 5 through October 10! This year’s the theme is "Best Seat in the House” and we will have activities in D.C., Maryland and Virginia with the hope that you can attend at least one. We also plan to have virtual activities for those who cannot participate in person. IBW is observed annually by Babywearing International of DC-MD-VA and by babywearing groups around the world. The week is a great time to connect with babywearing friends outside of the frenzy of our monthly meetings. And chapter leadership also use the week as an opportunity to raise awareness about babywearing, to reach out to others who are less familiar with babywearing and to raise funds to support our mission. We would not be able to celebrate IBW without you. We rely on members and friends to plan and host activities, to donate goods, services and skills for the auction, and to spread the word about our events. As we finalize and share our IBW plans, we would love for you to spread the word by posting about our events in your favorite online community group or parenting forum. We can even get you physical fliers to leave at the pediatrician’s office, to pass out at your next parenting meeting or to hang on the board at your library or favorite coffee shop. 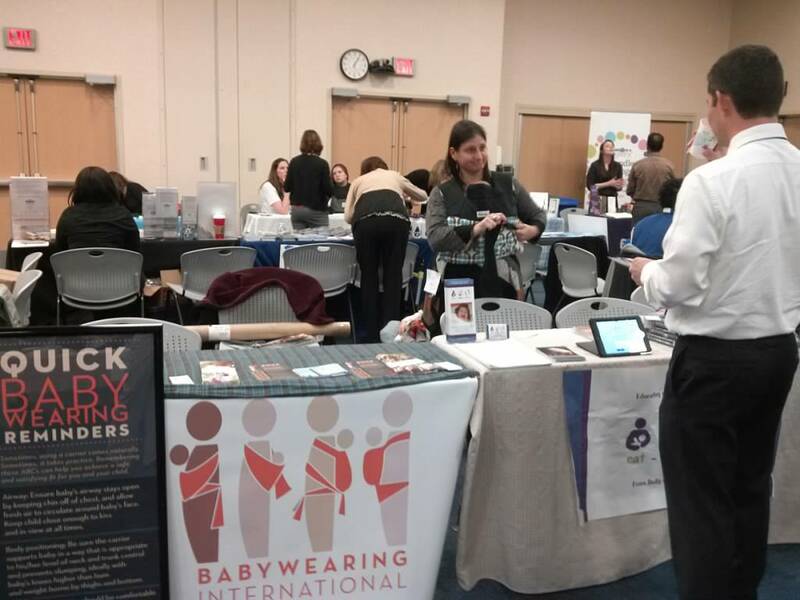 As a final note, IBW is also a time that Babywearing International of DC-MD-VA ramps up promoting our participation in the Combined Federal Campaign of the National Capital Area (CFC) that takes place annually for federal workers. We are a CFC charity and our number is 60645. We ask that this year you “Show Some Love” and keep us in mind during the giving season. And please share the word with the federal employees in your life. 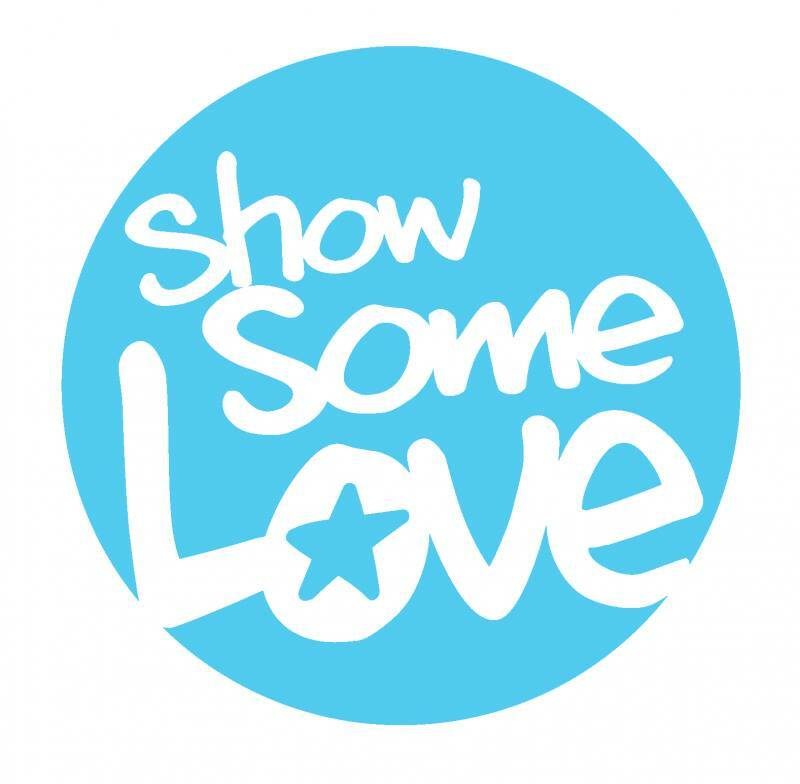 circular logo of white text on blue background reading 'show some Love"
Please check back with us here and on the events tab on Facebook for further details! babywearing community is grateful for your contribution, no matter how big or small. Saturday, July 16 at D.C.
What happens to the funds that the group raises? fundraising campaign. Below are some of the ways that the group spends money. All affiliated chapters remit a portion of their membership fees and donations to Babywearing International. Affiliated chapters pay monthly fees for online software to track who has borrowed a carrier, when the carrier is due, to help figure out overdue fees for carriers not returned on time, and to track membership. A couple of years ago, the chapter found a great sale and invested in tablets so that group volunteers did not have to use personal devices at meetings. 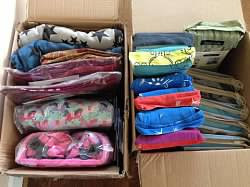 Did you know that the group has over 350 carriers spread among its multiple “learning libraries?” Group leadership takes advantage of special discounts targeted to babywearing educators, and volunteers have a special knack for finding quality carriers at modest price. Carriers more than five years old have recently been removed from the lending libraries. These are weighted dolls that simulate a real infant or child. They come in handy for teaching demonstrations and for use by families who are expecting and who come to meetings without an actual baby to wear. Recently, the group bought some professional demo dolls. Chapter leaders often use their own money and resources to convert a regular doll into a demo doll. Leaders sometimes find that at the busiest monthly meetings that there are not enough demo dolls around for the hands-on portion of the meeting. The chapter maintains a supply of brochures, pamphlets, and business cards. The written material is made available at the monthly meetings and at outreach events that the group attends. this community by giving to this fundraising campaign.